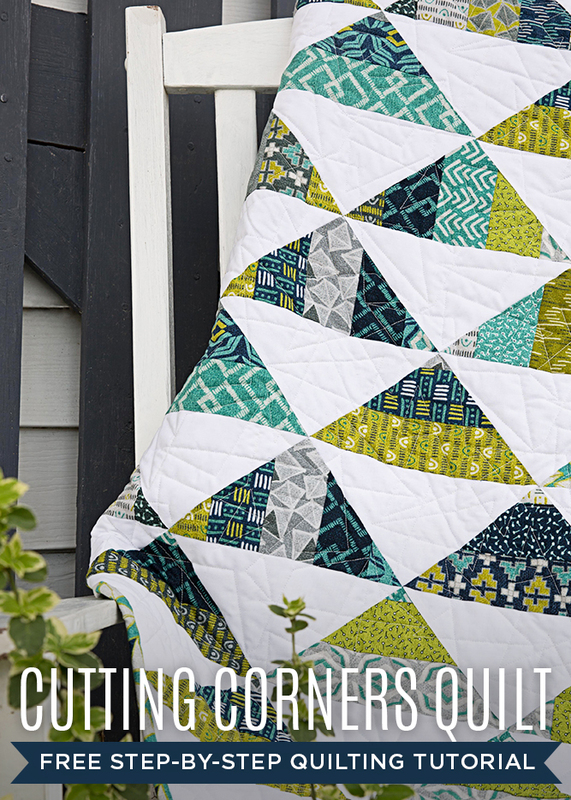 This quilt is featured in a tutorial by Jenny Doan. Click here to find the tutorial. 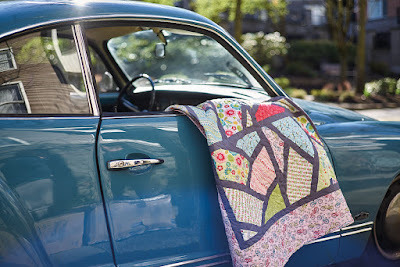 A gorgeous quilt using Cherry Guidry's Sunday Ride collection. 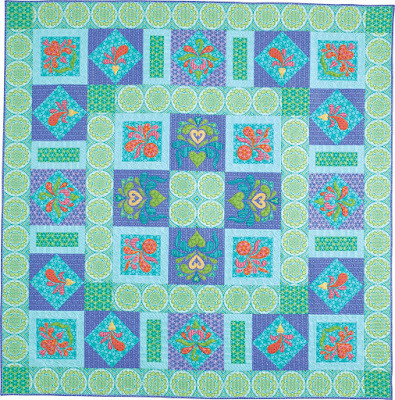 and a "Tangled Geese" quilt featuring Ann Lauer's Circle Play collection. Click here to find the magazine. 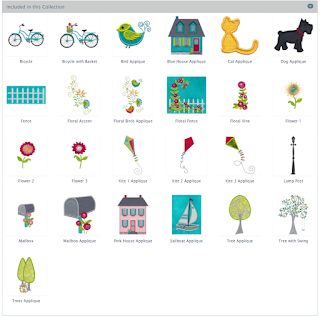 If you're a fan of Benartex, then you're likely familiar with the work of Maria Kalinowski, the Vice President and driving creative force behind Kanvas Studio. She creates everything fun novelty prints to elegant traditional prints such as the Spanish-inspired Carmen collection. Today, Maria talks to us about her design process and the Carmen collection. 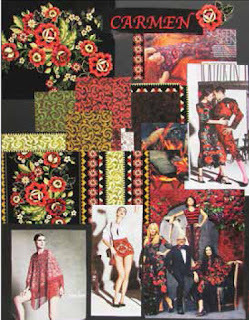 What inspired the Carmen collection? 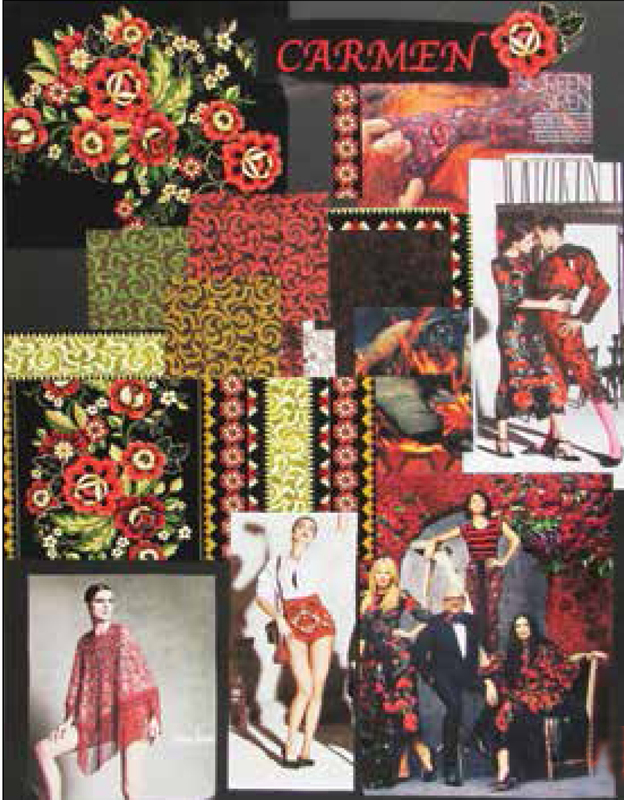 It was inspired by a Dolce Gabbana runway show showcasing beautiful embroidered shawls with Spanish flavor. It reminded me of an embroidered silk rose I’d recently purchased, and it was my starting point. There was resurgence of Carmen the opera happening at the time. The line has such a beautiful, Spanish, lush look to it. Tell us about the metallic accents in this line. I do enjoy using metallic. I love that beautiful shimmering, glistening effect. It makes cottons luxurious, like home dec fabrics. I look at everything—fashion magazines, what’s going on for trends. I’m always looking at studios in Paris, London, and Italy. I like to find one focal print—I call that my meat and potatoes. It flows from there, and all the coordinates go with it. I design from an art perspective—making beautiful art—and worry about whether it’s going to work in quilts later. After I’ve designed my art, I get other people’s opinions—my colleagues have better quilter’s eyes than I do. What quilters do with the fabric always surprises me. I love the creativity of the quilters and the beauty that comes out of the lines. My art is going to another artist, who is sewing it. Creating something totally new with my creation. Click here to see the entire Carmen collection. 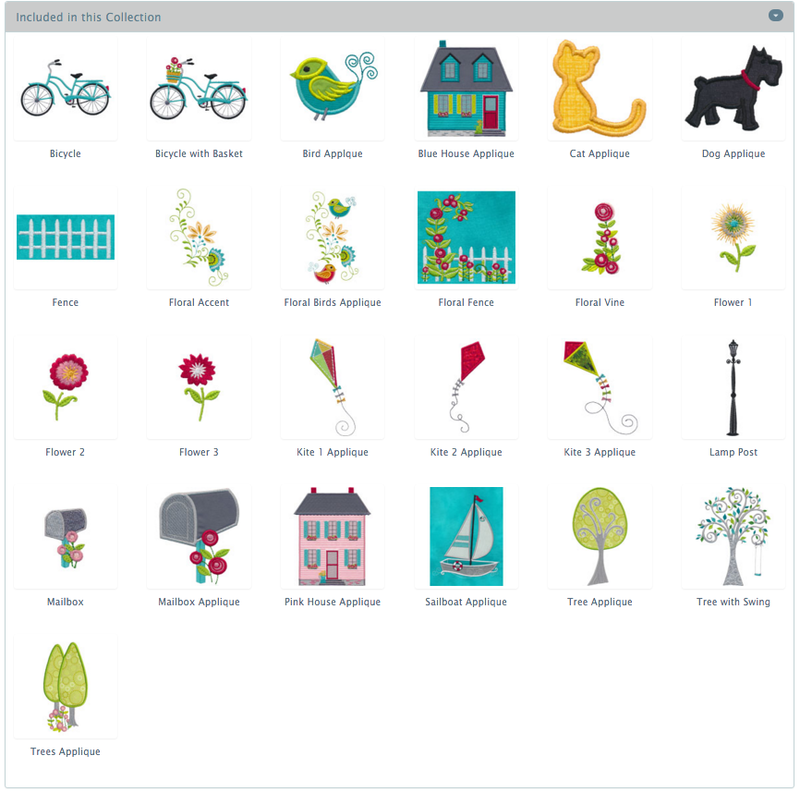 Get a taste of tropical fun with Maria Kalinowski's Island Blossom collection! 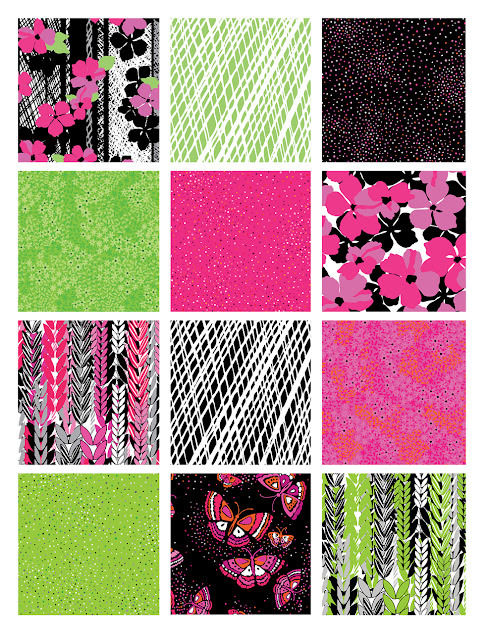 These prints are all about texture and big blooms, in lime and turquoise or fuchsia and lime, combined with black and white for extra pop. Love the lime? It works great with either colorway! 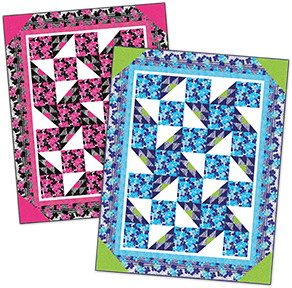 Bring the tropics into your house with the Waving Lei's quilt pattern in either pink or turquoise. Click here to see the entire Island Blossom collection. One of the best parts of spring is the all the flowers! We love big blooms as much as anyone, so we're happy to share the Flowering Peony collection from Dover Hill Studio with you. Soft blues and warm creams...peonies, butterflies, geometric coordinates and delicate tonal prints. Sounds like spring! 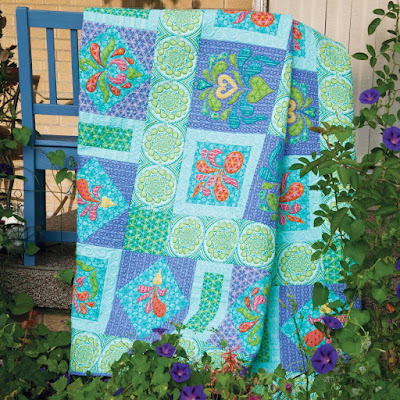 This free quilt pattern from Janet Page Kessler lets the large floral print shine! 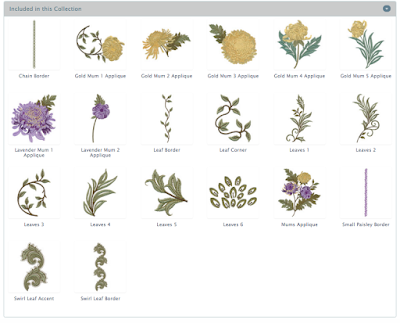 Click here to see the entire Flowering Peony collection. 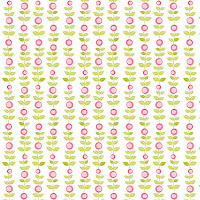 Click here to download the free Flowering Peony quilt pattern. p.s. 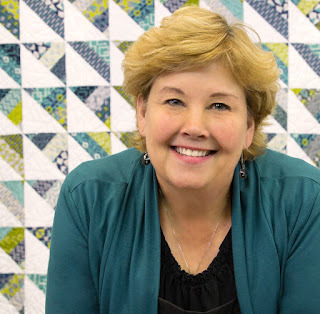 For a little extra Monday inspiration, be sure to check out Debby Kratovil's blog post; she used Paula Nadelstern's Fabracadabra collection in fussy-cut hexagon blocks! Gorgeous! 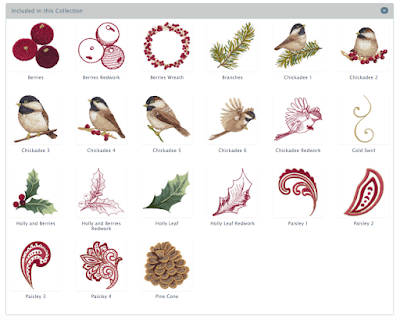 This week we’ve been sharing some of the embroidery collections that coordinate with our fabric lines. Today, we’re going behind the scenes. 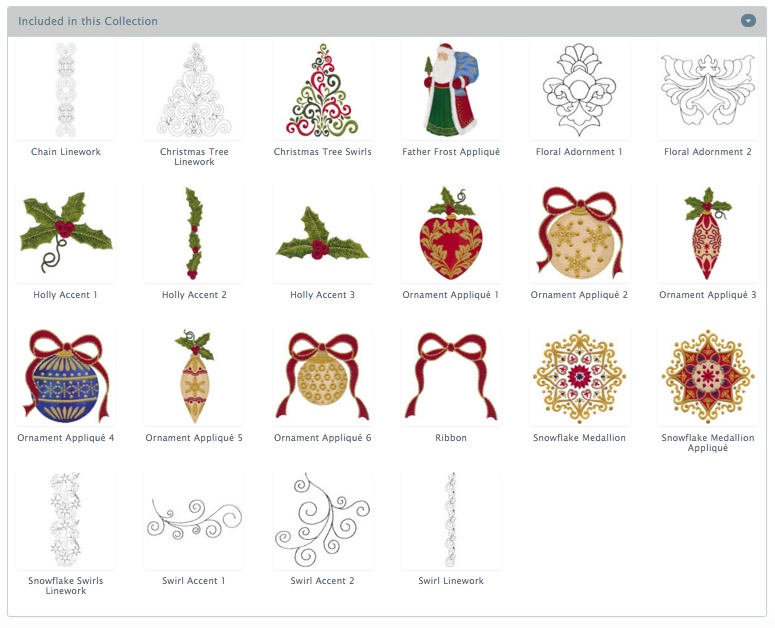 We talked with two experts at Oklahoma Embroidery Supply & Design: Tony Warriner, Design Center Manager, and Christy Burcham, Product Manager. 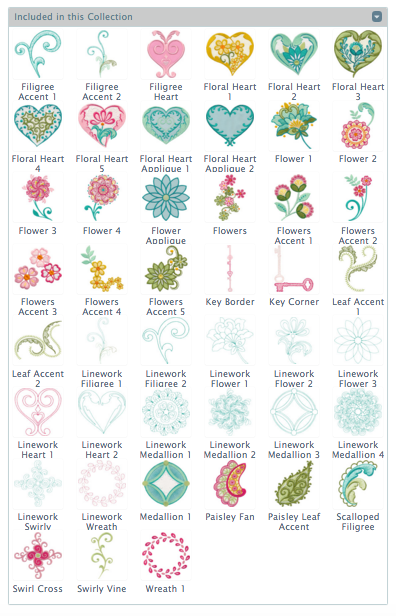 How are motifs from fabric lines chosen to become embroidery designs? Christy: There are some artists who we have an established relationship with. Those artists have an idea of what motifs they’re drawing that they’d like to use for embroidery. That makes our job easy. Other times we go ‘shopping’—we look at new fabric lines and see what might add value to our embroidery lines. 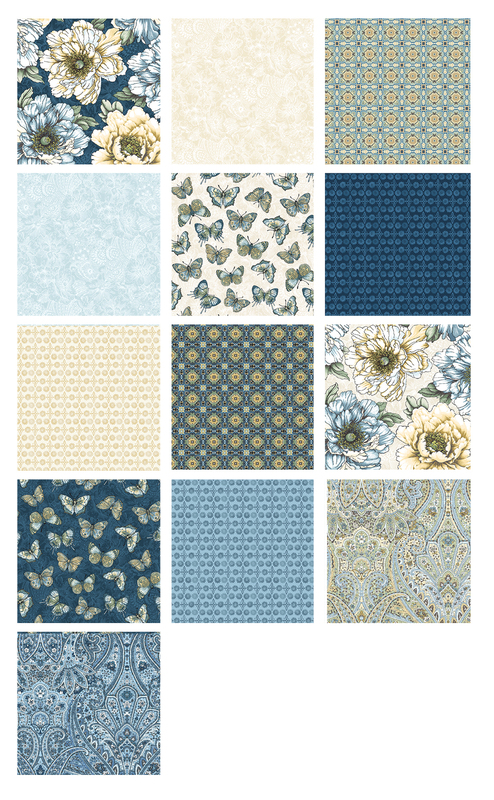 Do you typically choose the focal motifs from fabrics? Christy: Usually, though our digitizers can see things in fabric artwork that the average customer might not see as a motif. They pick out those pieces—even out of the background of a fabric—and make a really interesting piece. Tony: There are a lot of really awesome background designs that work well for what we need. Is there a range to the number of designs, or the complexity of designs that you like to have in a collection? Tony: We try to cover a bit of everything. 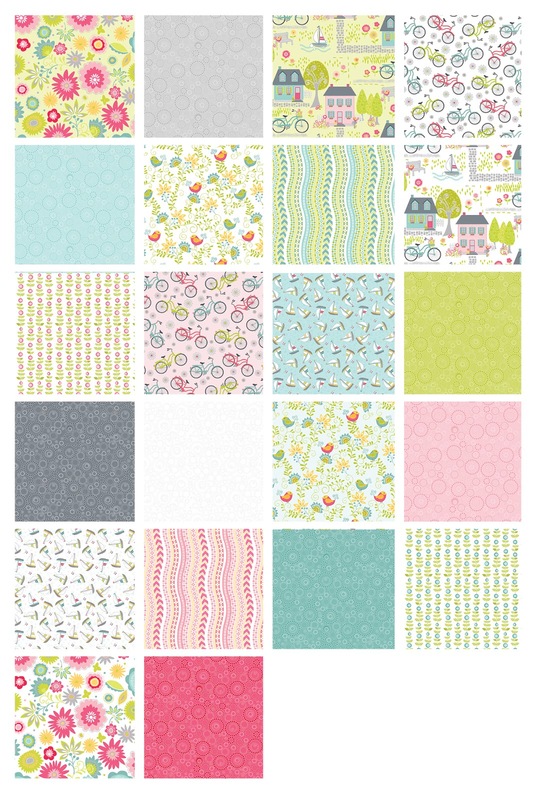 On average with a fabric line, we are looking for 20 designs to round out a collection. We’ll have 5 or 6 main focal point designs. 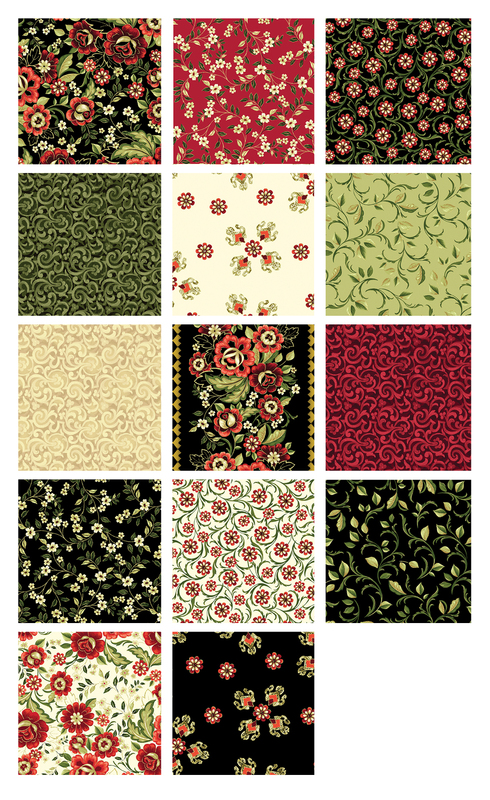 Then we’ll have smaller elements that go with the main designs, as well as borders, corners, line work, and appliques. 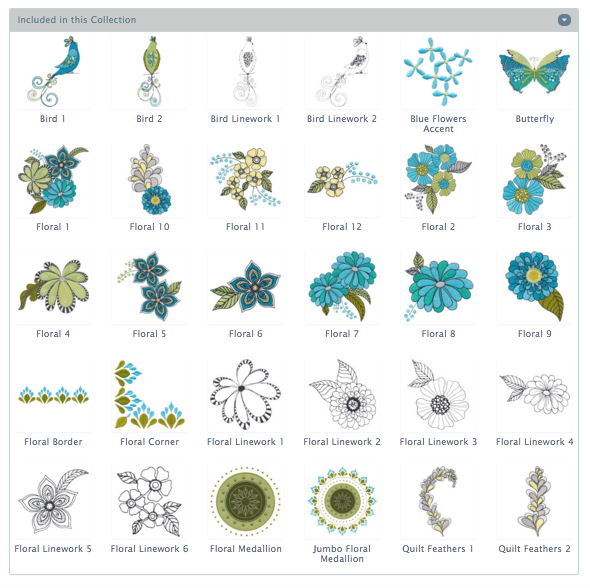 How does a motif become an embroidery design? Tony: We’ll start out by looking at the design. If there is a large open area of one color, we’ll decide we want to make that motif an applique. We’ll choose colors that match, and put some additional shading into it. We try to look at the embroidery from the perspective of the end user. We don’t want to have too many colors, which leads to lots of thread changing, but we use our techniques and a limited amount of colors to create what looks like twice as much. I think we do a really good job at keeping the colors and the amount of sewing time to a minimum. 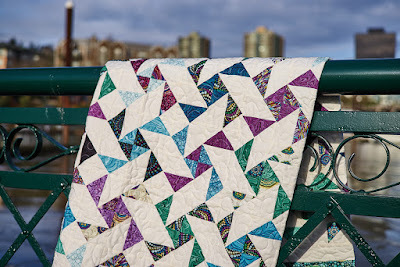 What are some easy ways for a quilter to get into embroidery? Christy: Getting your hands on it is where you want to get started, and there are lots of opportunities to do that. Many of our dealers offer classes where they’ll provide a machine. We do that too—we’ll go into a store and do a hands-on workshop. The customer doesn’t have to have used a machine before; she can come in and make a project during the class. If you have a friend with an embroidery machine, ask to try it. I think people will find it’s far less scary than they think it is. Tony: We used to actually lay out the artwork—as big as poster—and take a ruler to mark off angles and points. Everything was so manual. It was done stitch by stitch by the digitizer. Now it’s all done on the computer. Christy: The other thing that has changed dramatically is that the type of designs is so vastly different. 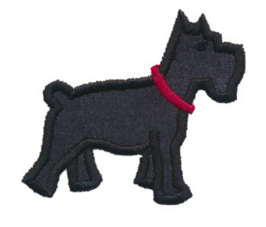 Embroidery used to be industrial focused—mascots, logos, things you’d stitch on the chest of a shirt. Now our focus is heavily involved in what the creative user wants to do. 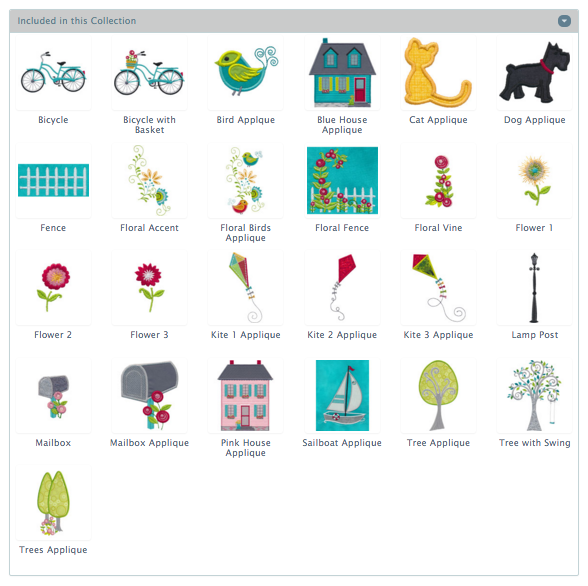 It’s not about making clip art, it’s about the experience of a customer making something. It’s about what’s going to inspire someone to make something beautiful. Our biggest customer group is quilters. 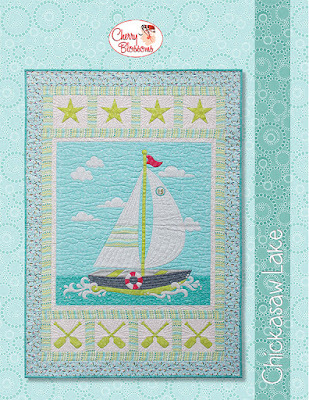 A lot of times people think that embroidery is a different sewer than a quilter. Embroiderers love to make quilts. 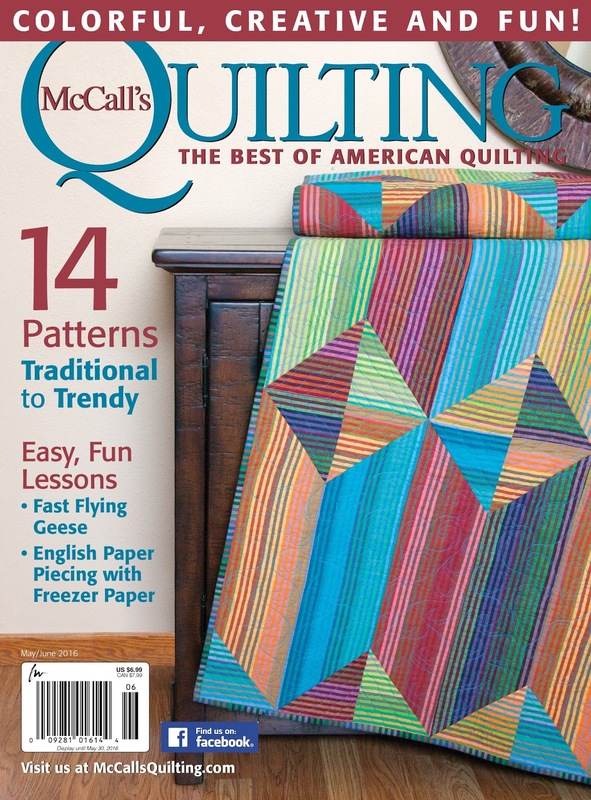 Our most popular collections, our most popular products, are quilt-related. 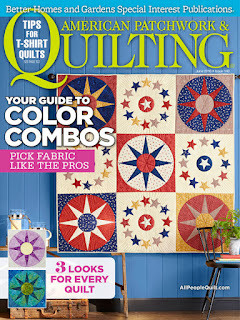 Quilting is big time. Thanks, Tony and Christy, for taking the time to talk to us. 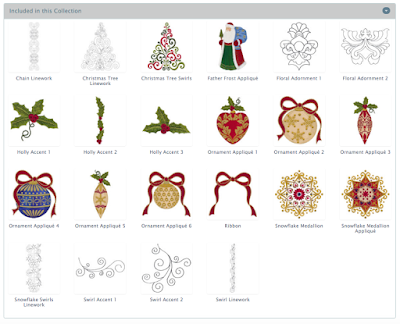 Click here to see all Oklahoma Embroidery Supply & Design has to offer. 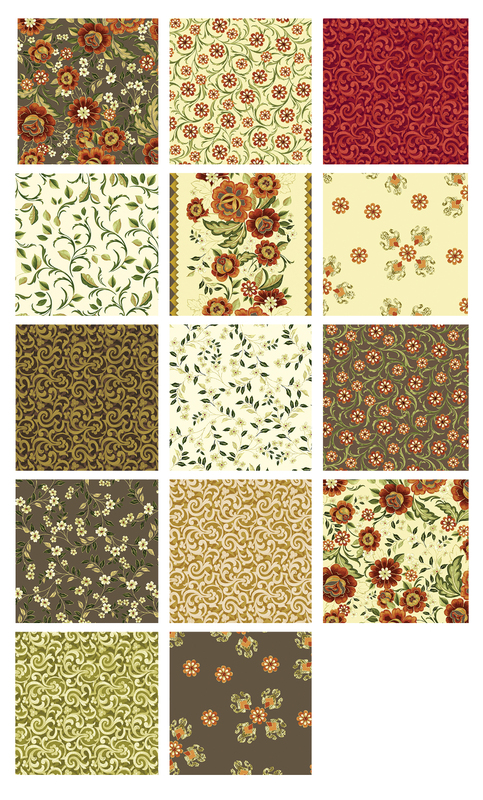 Click here to see the OESD designs that coordinate with our fabric lines. Congratulations, ladies! You'll be hearing from Cherry via email about getting your pattern prizes. Focus on Embroidery: See what coordinates with our fabric! We're focusing on embroidery here on the blog this week; today we're showing the embroidery collections that coordinate with some of our designers' fabric lines. Jackie Robinson has embroidery lines that coordinate with her three most recent fabric collections. 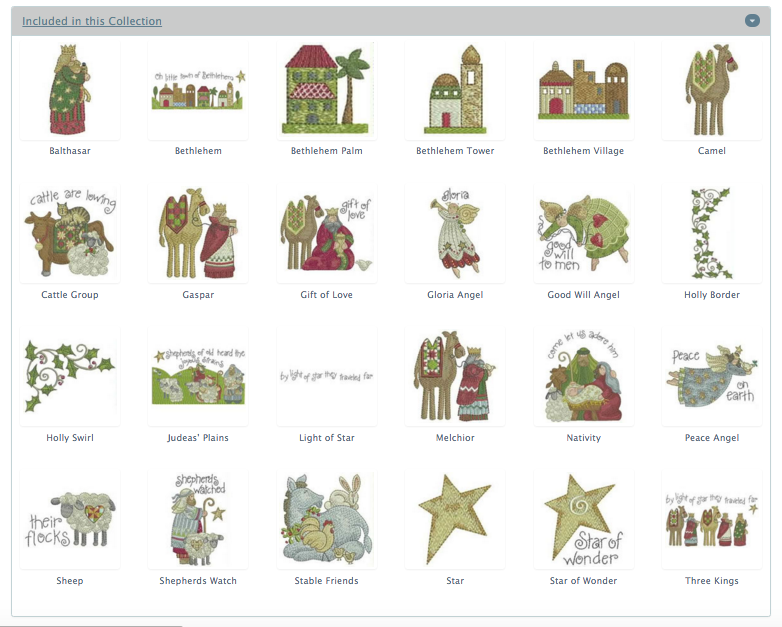 Nancy Halvorsen has an embroidery collection for her Christmas Pure & Simple line, as well as some of her older lines. Susan Rooney has an embroidery collection for her Breezy Blooms line. 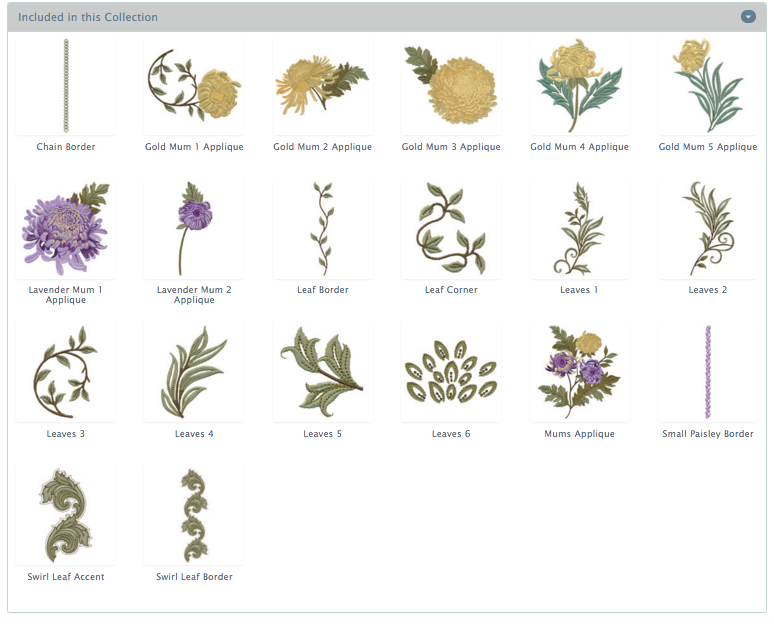 Click here to see OESD's embroidery collections, including those featured in this post. p.s. We're launching an exciting giveaway (a sewing machine!) on Facebook. Be sure to check our Facebook page Wednesday evening for details! Not all quilters are embroiderers, and not all embroiderers are quilters. But when you do mix these two art forms together, the results are pretty incredible! This week we'll be focusing on embroidery here on the blog--specifically embroidery collections that coordinate with some of our fabric lines. 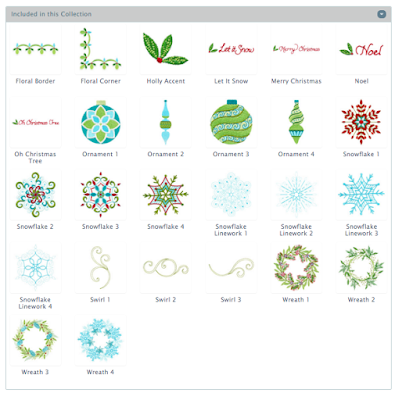 If you already love embroidery, consider this a heads-up of some of the fun designs available for your next project. If you haven't jumped on the embroidery bandwagon, we hope you'll consider this week's posts an introduction to what is possible. Enjoy! What do you get when you combine beautiful fabrics with stunning embroidery? A quilt like Sarah Vedeler's "Splash of Color," which is currently being featured as a series in McCall's Quilting. 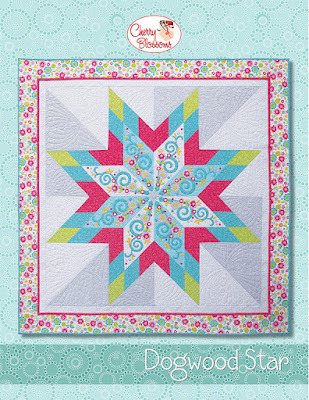 We asked Sarah to tell us about "Splash of Color," and how this quilt design developed. How did Splash of Color get started? 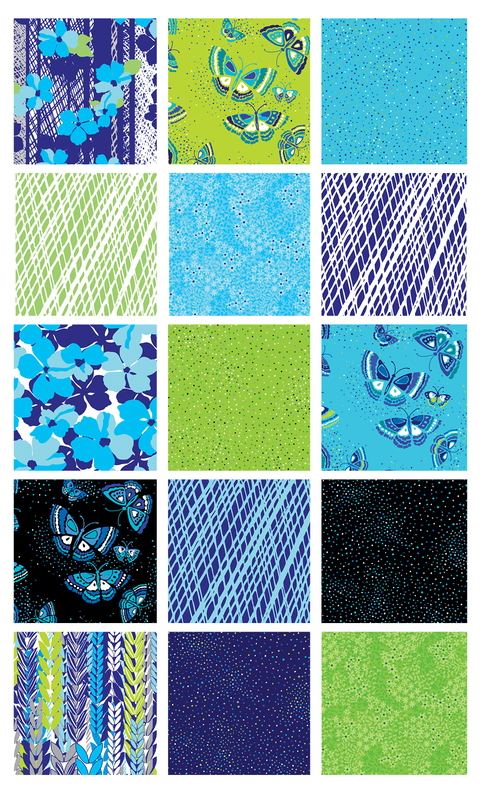 Tell us about why this quilt design works so well with your Transformation fabric line. I designed it so you can do a certain amount of fussy cutting. 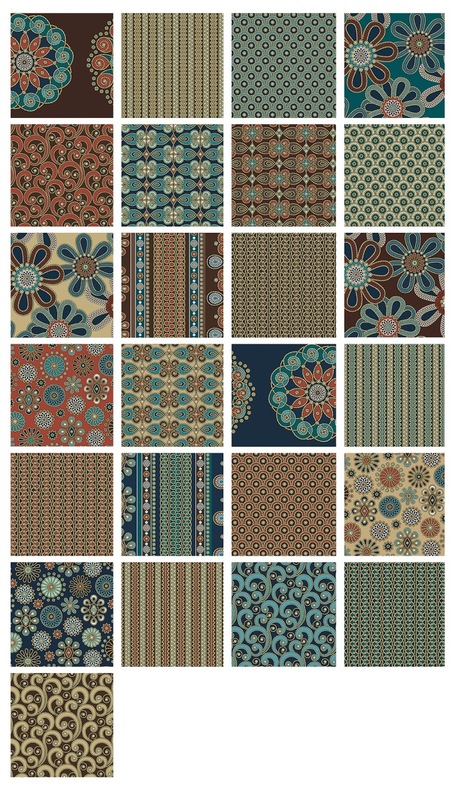 I used the infinity circle print in the borders--they're each one row of circles, and the quilt was designed around this. 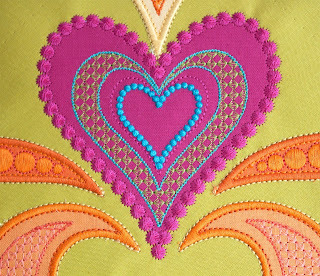 For some of the appliques, I fussy cut the fabric--for example, I used the stripe in the scroll heart, and then I fussy cut the tree of life fabric to center it in a heart shape as well. Tell us about the applique work. I created the quilt using my embroidery machine; the applique is all digitized so it can be done on the embroidery machine. But because of the strength of design of the fabric, it's more applique work done on the embroidery, and not your typical embroidery with so much stitching. The embroidery actually features the fabric. I have a signature satin stitch that has a triple stitch around the outside edge and a triple stitch around the inside edge. It gives a really nice 3-D look and creates a beautifully clean satin stitch. It's kind of a satin stitch plus. How can quilters purchase the embroidery designs? They're available on my website. 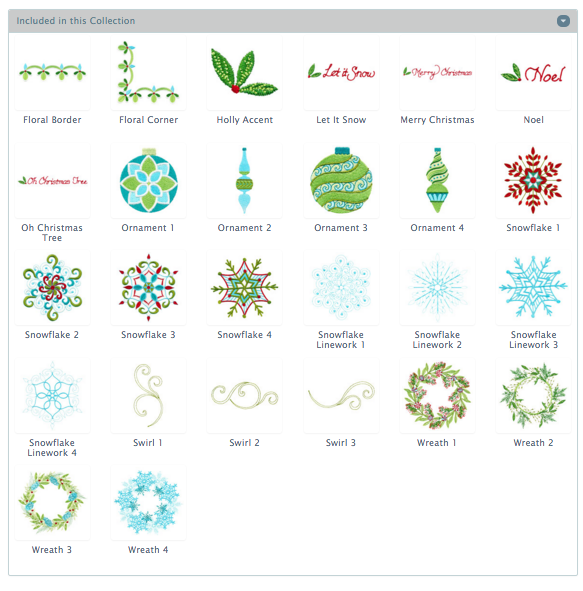 The digital downloads include the designs in two different styles: basic embroidery designs that highlight the applique, and then embroidered applique designs with solid fabrics to show off the gorgeous threadwork in the designs. I also created a Facebook group so anyone making the quilt can follow along, post photos, and ask questions. 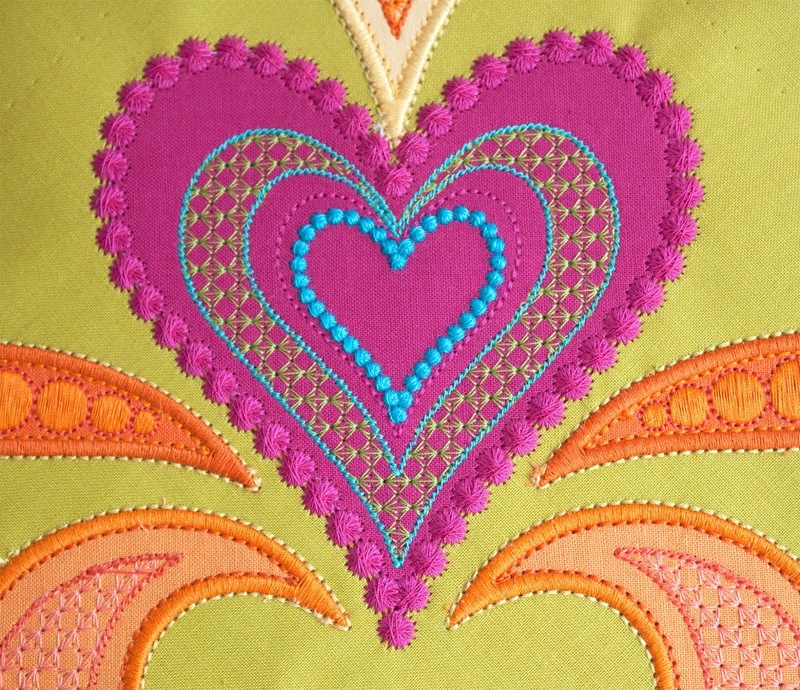 An example of the embroidered design used on solid fabric. Click here to see Sarah's Transformation fabric. Click here to visit Sarah's website and find the Splash of Color designs. Sometimes you see a quilt pattern you like but don't actually want to make the entire quilt. 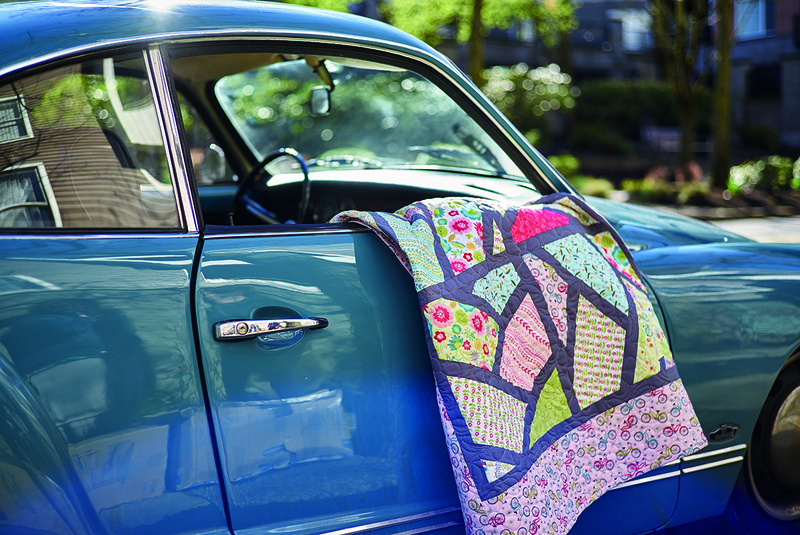 Cue the table runner...a smaller and quicker version of your new favorite quilt design! 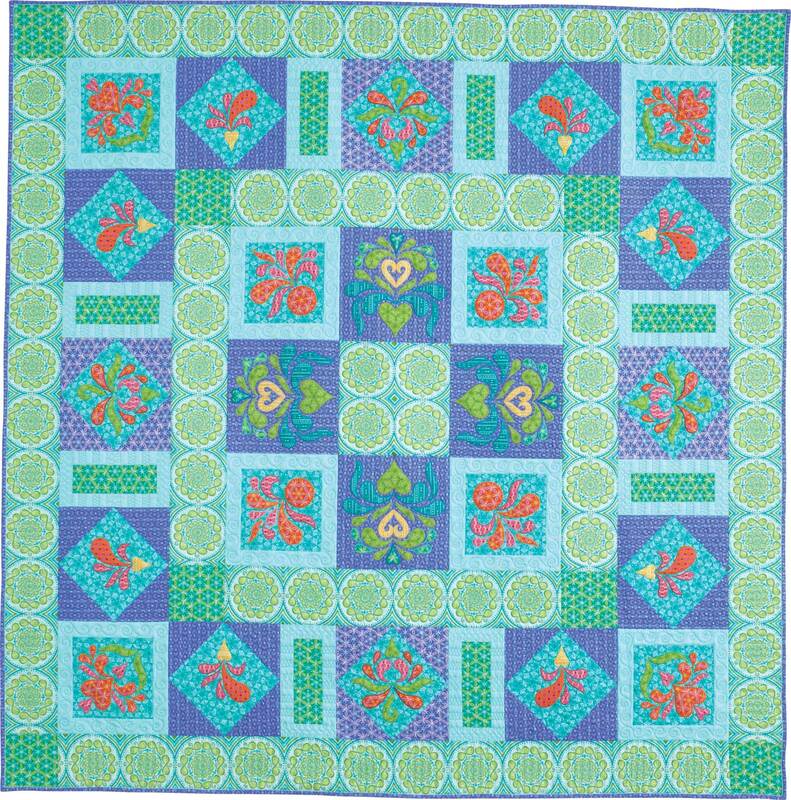 In the just-released June 2016 issue of American Patchwork & Quilting, quilt tester Laura Boehnke transformed "The Wheel Deal" quilt into a table runner using our Divine Twine prints by Dover Hill Studio. Simple, quick, and most importantly, awfully attractive! Based on a design by Sandra Clemons. 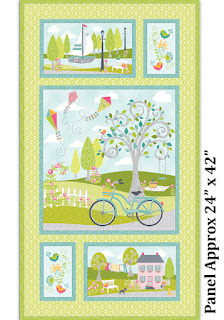 Used with permission from American Patchwork & Quilting® magazine. 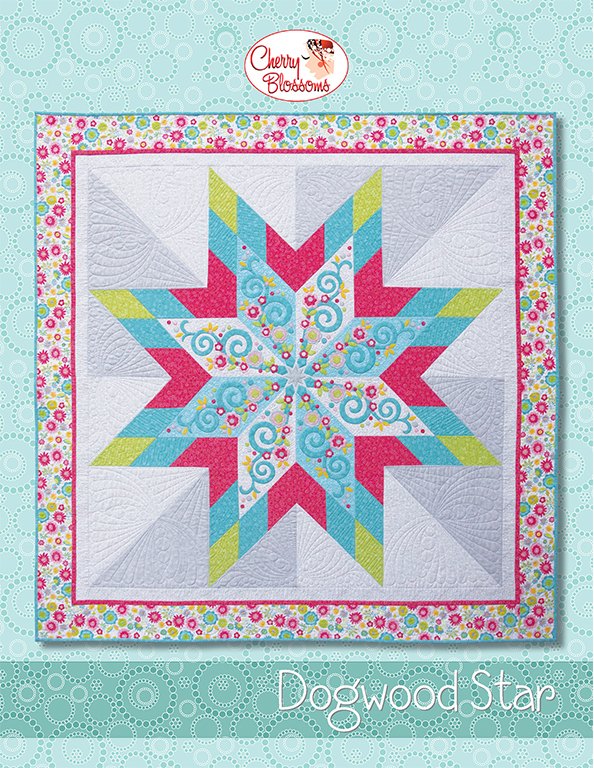 Find this Color Option in the June 2016 issue of American Patchwork & Quilting magazine. Click here to find the June 2016 issue of American Patchwork & Quilting. Click here to see the entire Divine Twine collection. We recently introduced you to Cherry Guidry's Sunday Ride collection. 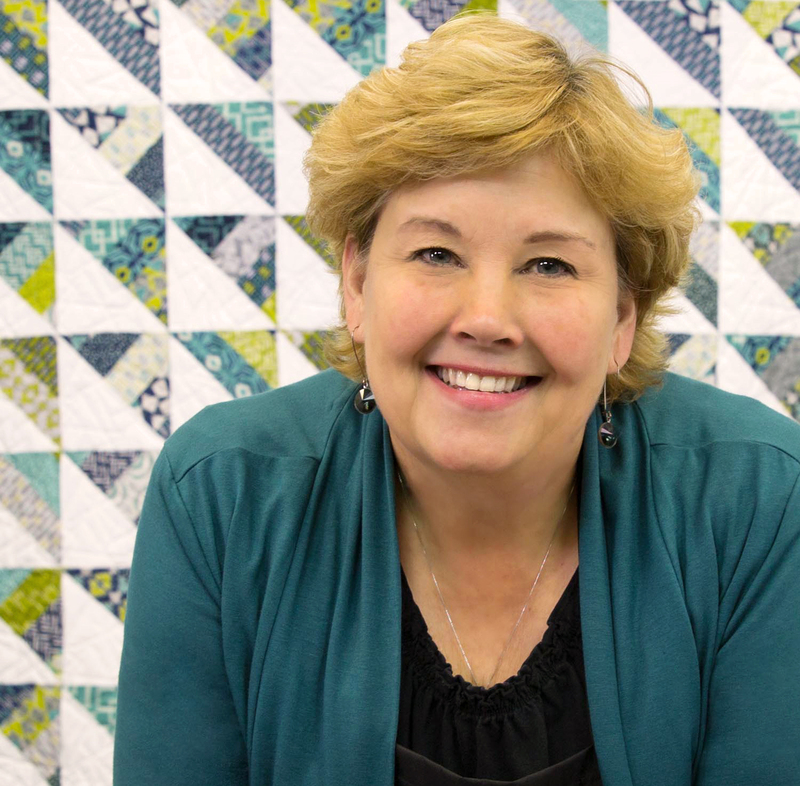 Today, Cherry talks about her fabrics, and the family memories that inspired them, as well as sharing the coordinating embroidery designs. We think these embroidered motifs are absolutely irresistible! 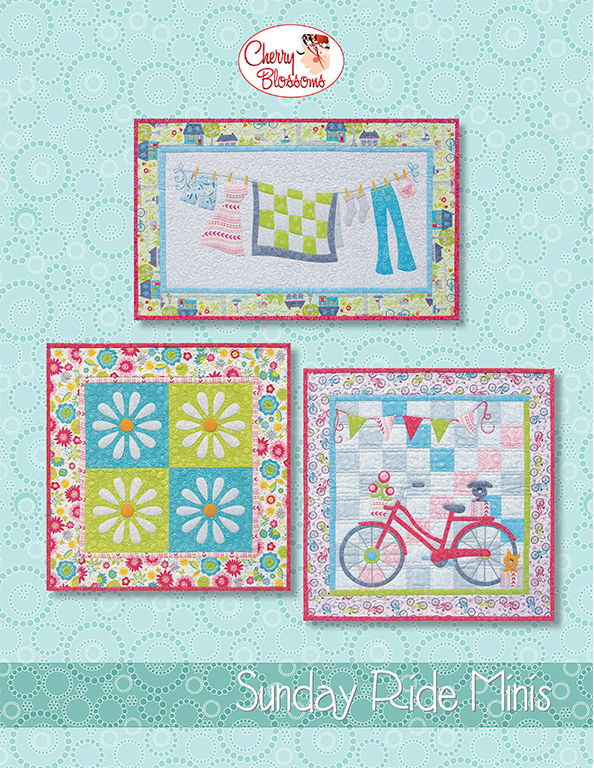 As a bonus, Cherry is giving away four quilt patterns. See the bottom of this post for details. What is the inspiration behind your Sunday Ride collection? It’s all about bike rides I used to take with my kids when they were younger. We lived in the Lake Arrowhead neighborhood in Waleska, Georgia. The designs are all things we saw along the way. I have such great memories of these bike rides; it’s really a special spot in my heart. The panel tells the story. We had a neighbor who used to hang her clothes out to dry. Of course I had to include a quilt on it! My little dog—a black schnauzer—is on there. We lived by the lake, and our neighbors had a sailboat. Picnics. And of course the bikes. 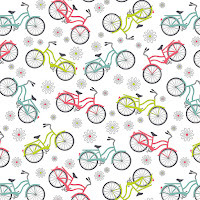 The little bike print on white with the daisies is probably my favorite. 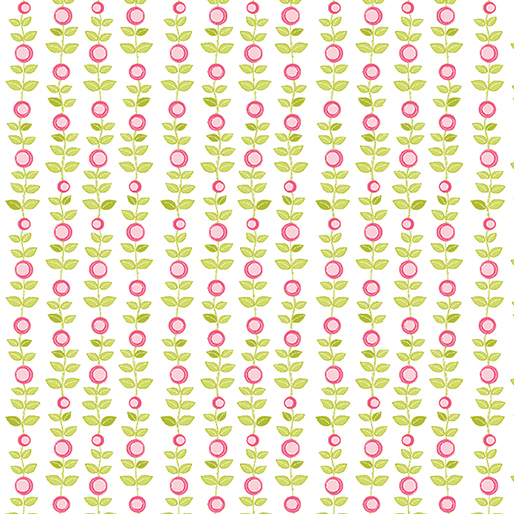 I’m also fond of the little Rosey Posey print. You have a coordinating line of embroidery designs for this collection through Oklahoma Embroidery Supply & Design. Yes! I just love embroidery. You can take simple blenders (like the beaded circles, which read as a solid) and add a little bit of embroidery. 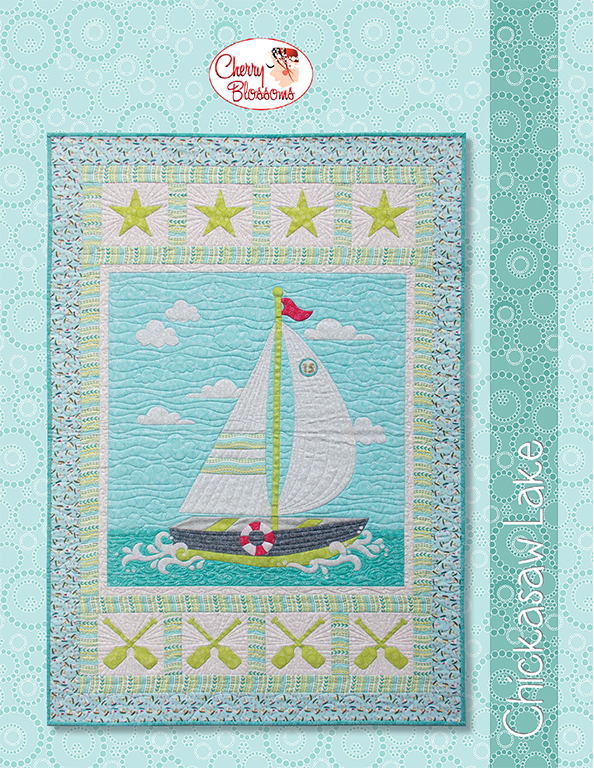 It takes a very simple block or quilt, add an embroidery design, and create an intricate-looking finished project. They also work great on quilt labels. I’m working on creating tutorials using the Sunday Ride collection. Click on the image to see it larger, or use the link at the bottom of the post for an even better view. What makes embroidery so appealing to you? Embroidery is instant gratification. You sit back and watch the machine do your work for you. 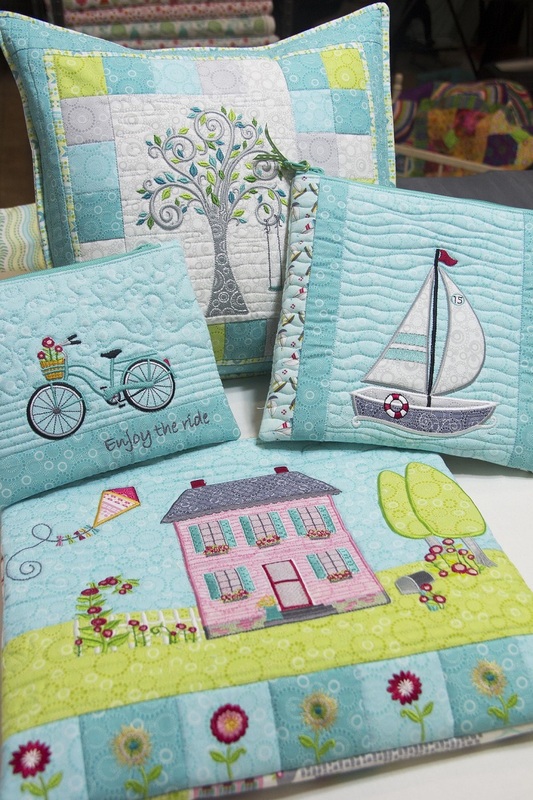 Embroidered projects make great gifts—pillows, kitchen towels, anything you want with the little added touch. 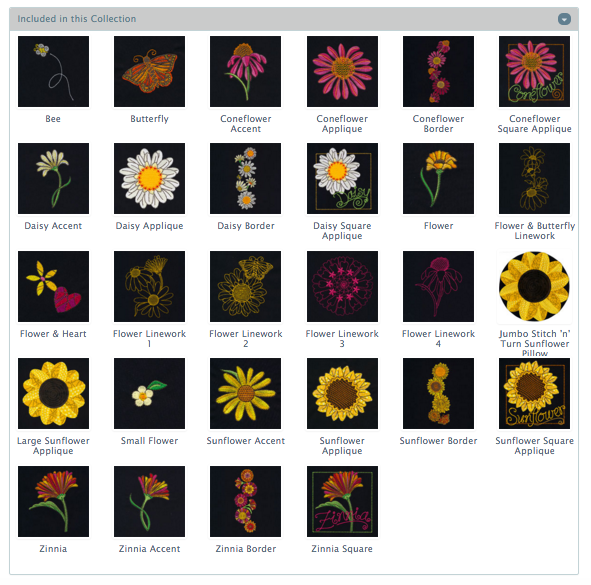 Sample projects Cherry has designed with her embroidery motifs. 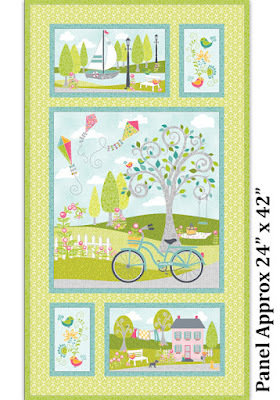 Do you have a favorite from the Sunday Ride embroidery collection? Definitely the bike. And the schnauzer. He’s so simple, but so cute. 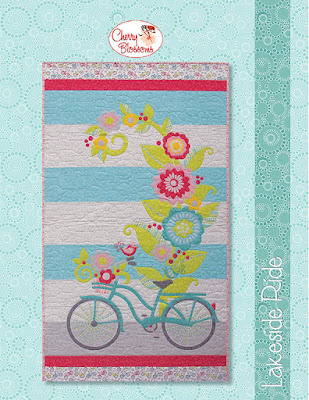 For a chance to win a pattern, leave a comment letting us know your favorite embroidery motif from Sunday Ride. Giveaway is open through Sunday, April 17th at 11:49 pm EST. Make sure we have a way to reach you if you are selected as the winner! Click here to see the entire Sunday Ride collection. 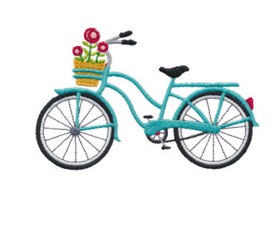 Click here to see or purchase the entire Sunday Ride embroidery collection. Click here to see more of Cherry's work. 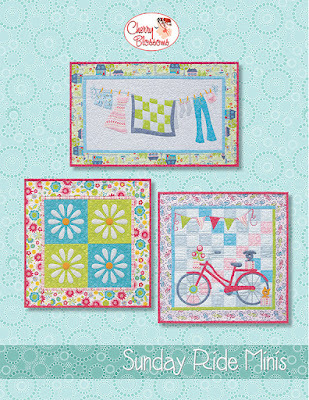 ...with Cherry Guidry's fresh Sunday Ride collection for Contempo. 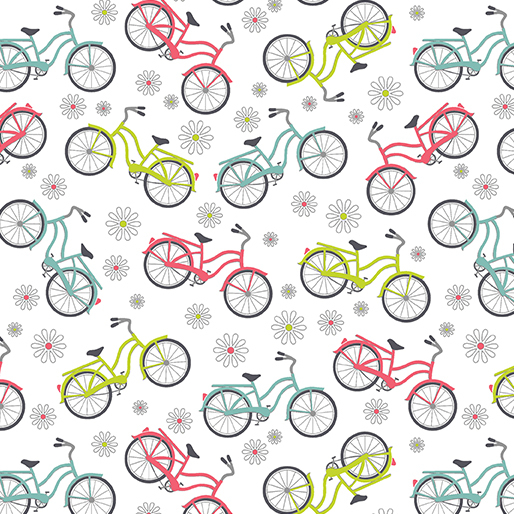 These prints exude spring--from the light, airy palette to the flowers, bicycles, and sailboats--Sunday Ride is packed with fun! 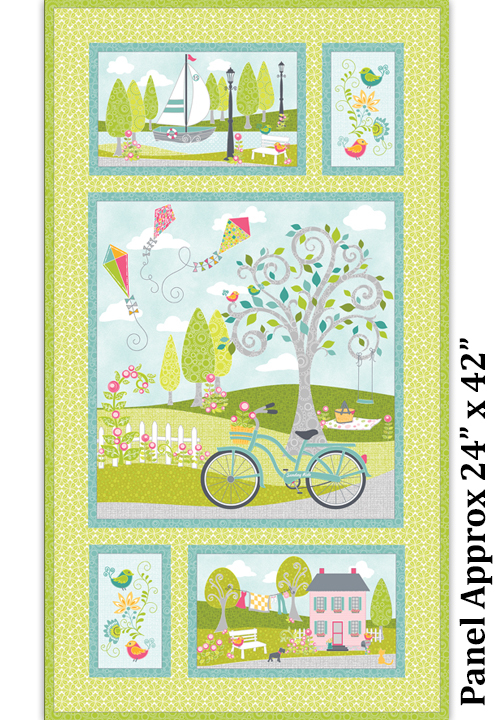 You'll love the allover neighborhood print--fun for backing, wide borders, or fussy cutting. And don't forget the panel! 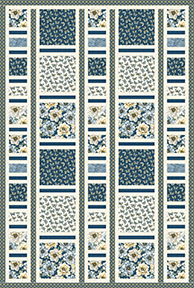 Corner Oak Street, a free pattern by Cherry. 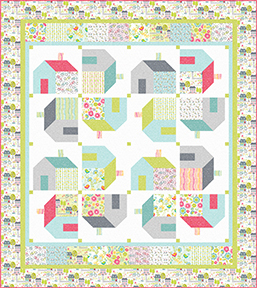 Make your own neighborhood with this refreshing version of a classic house block quilt. Stay tuned for more on Sunday Ride later this week! March Madness: The Championship Game!